Is it possible to put in one greenhouse cucumber and pepper? Planning to grow in the same greenhouse or greenhouse, various vegetable crops, it is necessary to consider their compatibility, so not to be disappointed from the wasted effort. The main vegetable crops that require cultivation in greenhouses – tomatoes, peppers, cucumbers, eggplant, green culture. Unfortunately, not all of them endure next to one another without prejudice to each other. The fact that a good yield of each species needs to create its own microclimate, which can be harmful to other plants. Cucumbers need warm and humid climate, abundant watering with warm water pooled, spraying the greenhouse air from a spray. Frequent airing cucumbers do not require to realise good yields, you can use self-pollinating (parthenocarpic) varieties. Quite the opposite are the requirements for growing tomatoes and peppers. Tomatoes need a moderate temperature, feeding nitrogen-phosphorus fertilizer. High humidity in the greenhouse, the tomatoes suffer badly, they need to air. Based on the above, we can conclude – in the same greenhouse cucumbers, peppers and tomatoes will be uncomfortable. In high humidity the bushes of tomatoes and peppers at risk of developing Phytophthora and fungal infections, and for cucumbers dry air is harmful – it will lead to the fall of the ovaries and the loss of the crop. In addition, the phytoncides emitted by tomatoes, adversely affect the condition of the cucumbers. The same problems arise when grown in the same greenhouse cucumbers, peppers and eggplant. The fact that they belong to the same nightshade family as the tomato, so the requirements are similar. You can combine cucumbers, tomatoes and peppers with green crops: green onions, lettuce, radishes that are planted in the greenhouse in early spring. As they gather on a vacant place it is possible to plant seedlings of vegetable crops – between these cultures get along well. 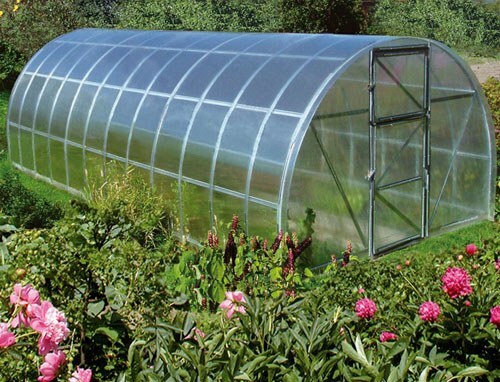 If you need to place in one greenhouse several bushes of peppers and cucumbers, you can try to partition off the inner space of the plastic film, provided that it remains possible to fully ventilate the greenhouse. However, this method is still undesirable, because the plants will continue to exert influence on its neighbors through the soil: different humidity and different requirements for fertiliser application can play with the gardener a cruel joke. If the greenhouse on the plot, only one can be used for cultivation of cucumbers warm compost garden under plastic cover – in these circumstances, the chances of getting a good harvest will increase significantly. You can go to another compromise in the greenhouse to plant cucumbers in warm beds, the pepper, because it will also be appropriate. By placing the plants in different places, you can expect to receive expected returns from the hard work, without risking to destroy the plants improper care.